This weekend I was invited to check out Guardian Bikes which will be releasing these bikes later this fall. These kids bikes were designed specifically for safety with the patent SureStop which is a single lever brake system. When you squeeze the brake it activates the back brake and when there is weight on the bike it activates the front brake. So if your child has to stop abruptly they will not fly over the handle bars. My husband has done this before and he came home really hurt from his fall. He was impressed by this design. If you have a couple of minutes you can put this bike together! We did a friendly competition at the event. The person with the fastest time in putting the bike together would win a prize. I did this bike at 2:05, it was really easy to put together so even being nervous in front of a crowd I did it and won! When it ships to you all you have to put the handle bar together and the two pedals. 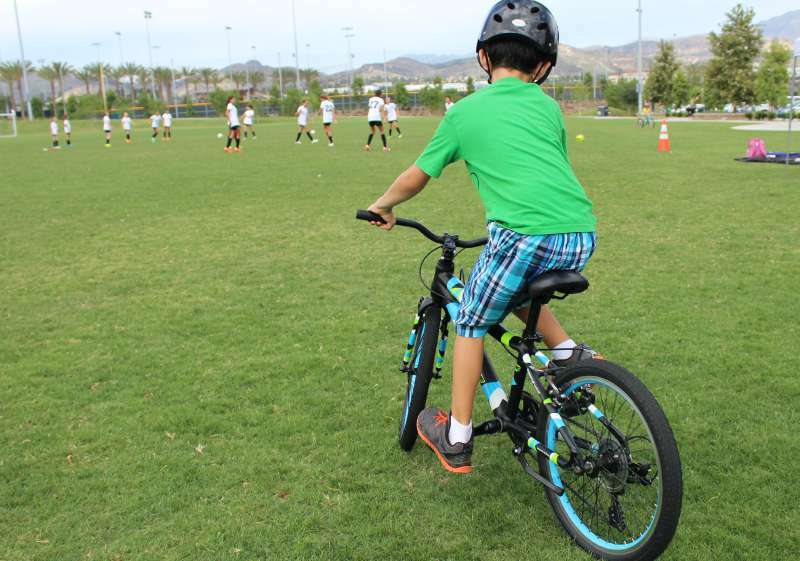 The Guardian Bike is an investment in your child's bike. Once your child can fit over the top tube he can ride the bike. The seat post adjust as your child grows making it worth the purchase. The bike also weighs 20 pounds less than the average kids bike. They also have a women's bike called the Novara which has the patent SureStop and will be available only at REI this October. I am not a bike rider, but when I rode this bike I felt really comfortable, light, and effortless. It really built up my confidence in riding.